Today’s Bacon Month post is sponsored by Torani and their amazing syrups! All recipes and opinions are my own, so enjoy! 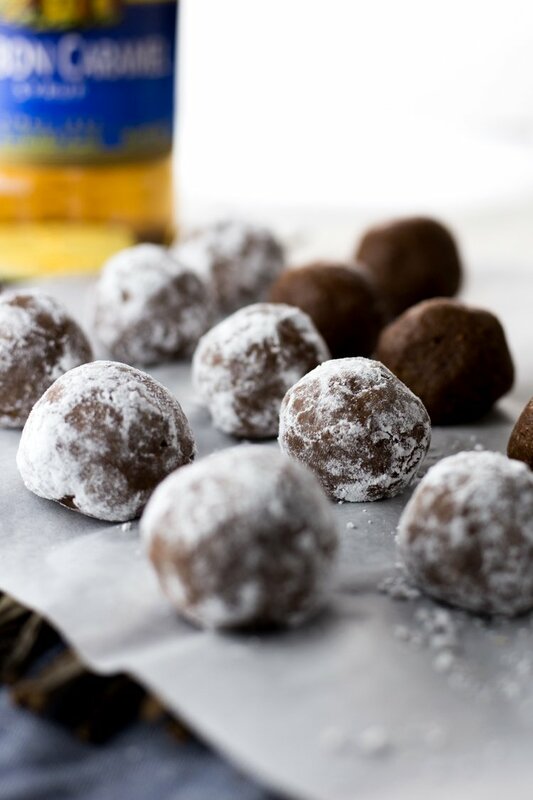 You will rarely see a treat as easy to make as these Bourbon Bacon Chocolate Balls. And after you try them, you won’t care to try to find anything else, anyway! These bite-sized pieces of heaven have all the good stuff to knock out those cravings. Deeply satisfying, my friends. I feel like all the flavors really complement each other, so nothing is overwhelming, but you still get a taste of everything. 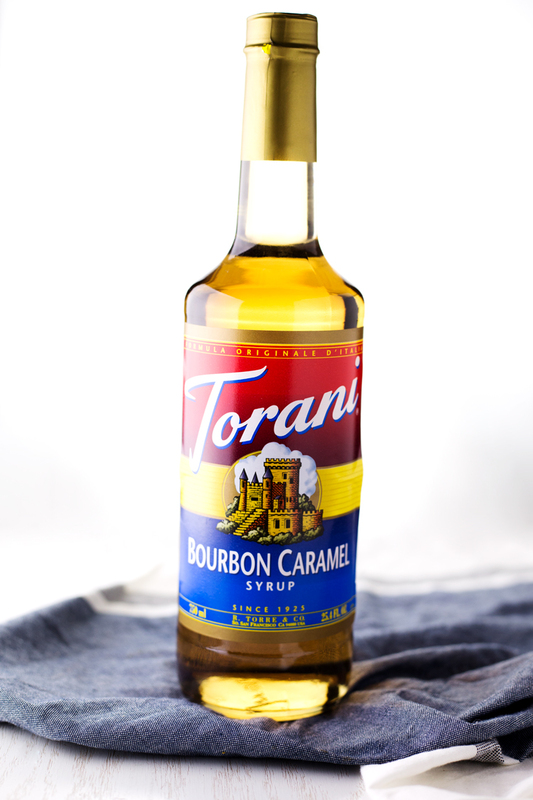 I’m a huge fan of the flavor profile provided by Torani’s Bourbon Caramel Syrup; I mean, just a whiff had me giggling with pleasure because I knew it would be just delicious! This syrup may be going in my hot toddy this winter too, because zomg, why not? AND. 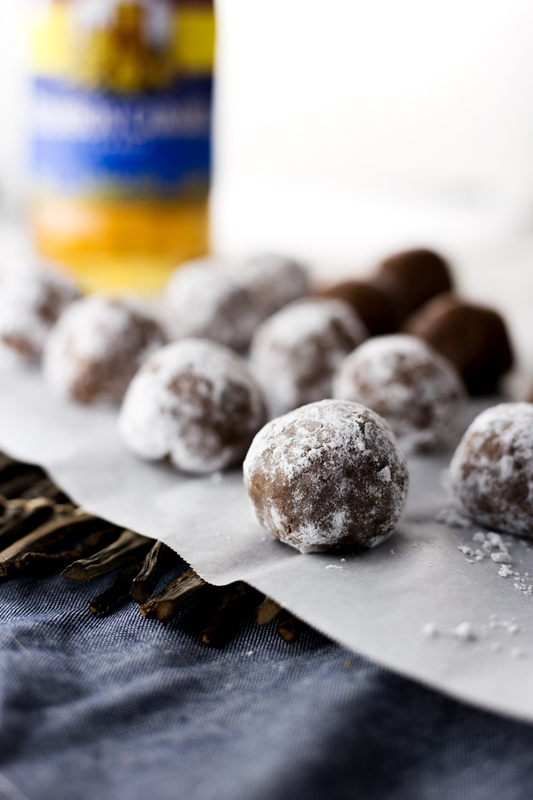 And I could be enjoying these bourbon bacon chocolate balls WHILE sipping on said hot toddy. Have you seen what my other Bacon Month peeps have been making? There is so much delicious happening here I can barely hold it together! OH! If you haven’t yet done it, there are THREE giveaways going on for Bacon Month, so be sure to enter there HERE! NOW! 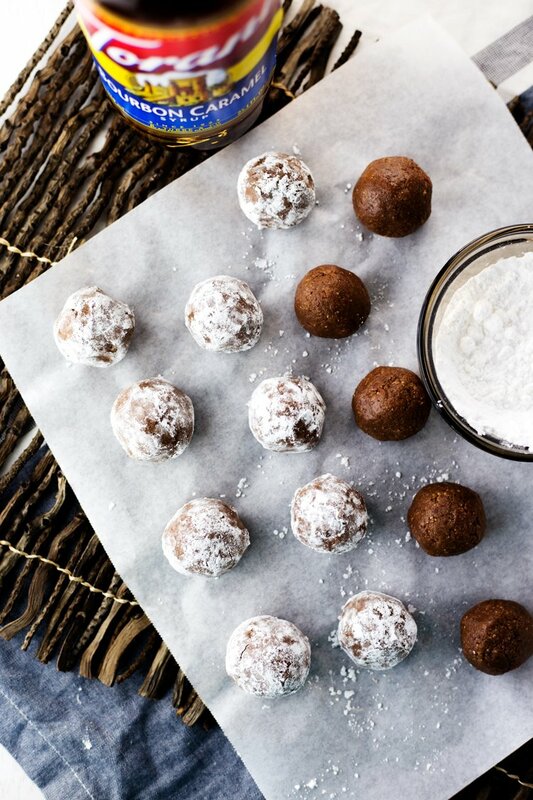 In the meantime, are you ready to enjoy some bourbon bacon chocolate balls? Add the rice crispies and bacon to a blender or food processor and blend until finely ground. Dump the mixture into a large bowl and stir in the cocoa powder and ¾ cup of the powdered sugar. In a small bowl, whisk together the bourbon caramel syrup, corn syrup, and water, then add to the dry mix and stir until thoroughly combined. 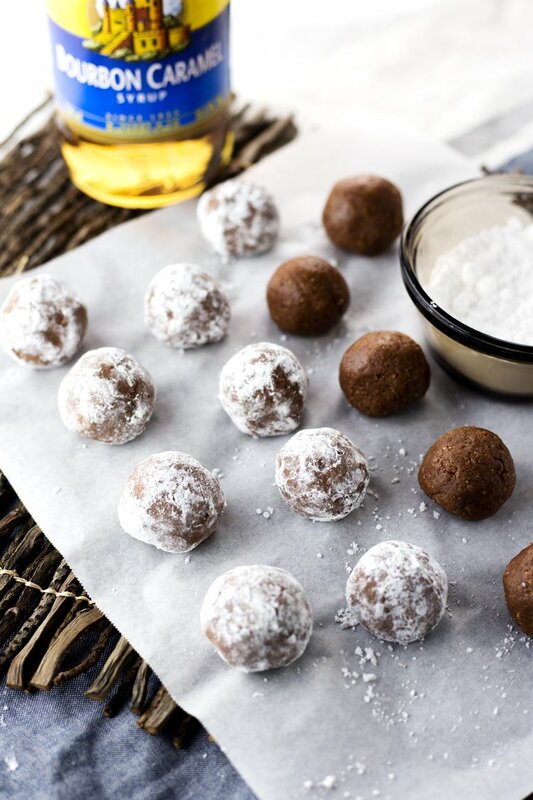 Roll into 1 inch balls, then coat in the remaining powdered sugar. Enjoy!